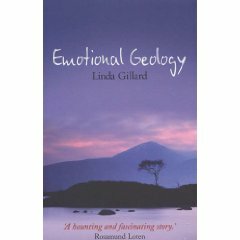 Emotional Geology by Linda Gillard – It's Time to Read! A unique book in many ways. Gillard deals with death, bi-polar mental illness and love in middle-age people. Well, I loved it. I could not put it down. Gillard is fast becoming one of my favourite authors. I really enjoy her writing style; she is so imaginative and the way she describes landscapes and feelings is magical. I could picture what was being described, and she wrote so well I now long to go there and discover the island for myself. I also appreciated the map in the front of the book and the little bit of information about the island. They helped with the reading immensely. Once again, the characters were just fantastic. Rose, who suffers with manic depression is dealt with sensitively and informatively. Calum, well he was a character I fell for. Even with his own troubles he was there for Rose. What a man. And my favourite, his sister Shona. She seemed delightful. I have finished this book feeling satisfied. This is more than chick-lit, where the protagonist falls in love, this is a story of depth, of healing, death and illness, and it was beautiful. A part of me wishes it hadn’t finished and I know I will invest in my own copy of this book, and indeed Gillard’s other novels, as all have had an effect on me, and all I will want to read, and read again. I can only praise this book and encourage others to read it too. Thanks for the fab review and 10/10 rating, Kate! Glad you enjoyed EMOTIONAL GEOLOGY. Shona’s a sweetie, isn’t she? I think you might enjoy re-reading EG. I wrote it in such a way that it’s almost a different book on a 2nd read because of all the things you now know that you didn’t know first time round. Contact me if you want to buy signed copies of any of my books.